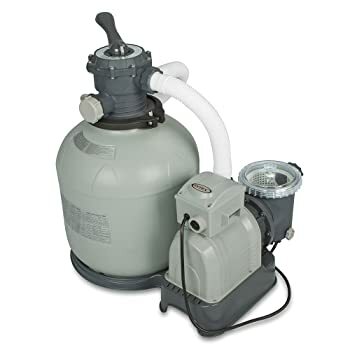 Best Pool Sand Filter Reviews 2019: Find out The TOP 8 choices! 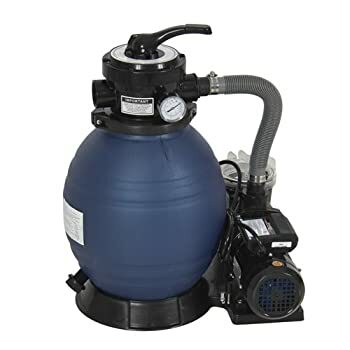 People constantly search for the best pool sand filter because it is both effective in keeping the pool clean and backwashing is a lot easier. In fact, many pool owners and a few pool sand filter reviews consider sand filter as the best thing for their pool. If you want to know why a pool sand filter is a great investment, as well as the good things it can do to your pool, then check it out here. How to Buy the Best Pool Filter for Your Pool. What Are the Advantages and Disadvantages of Using a Pool Sand Filter? 1 What Are the Advantages and Disadvantages of Using a Pool Sand Filter? 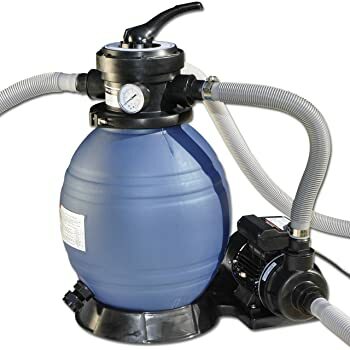 This question is quite common among buyers who haven’t used sand filter before or among people with curious mind who just want to weigh all possible options. Wondering what makes pool sand filter a must-have pool system? 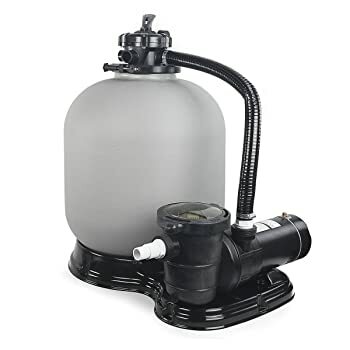 Initial buying price is really cheap as compared to other pool pump filter systems. Sand filter is also easier to operate and maintain. It is actually easy to backwash with a sand filter. This is suitable for both the above ground pools and in-ground pools. The filter sand can last for up to 7 years. You can also install an alternative filter media so that the filtration power is more efficient. When backwashing, it consumes a lot of water. It can filter microns size no smaller than 20 microns, which is a bit higher than other types of filter systems. Although the sand filter can last up to 7 years, the high-pressure system can wear out the pump easily when not properly maintained. Now, in this section, you must have already decided if a pool sand filter is indeed what you need for your above ground pool. If you’re still convinced that a pool sand filter is what you need, then it’s time to get to know the 8 best options for your money. Intex is a favorite by many because of its efficiency and affordability. The Krystal Clear sand filter pump can generate up to 3,000 gallons flow rate per hour. It is 16-inch in size and includes all the necessary accessories needed for the whole system. It’s 75% more efficient than other sand filter pumps. This unit has a total of 6-function control valve; this allows you to do backwashing and rinsing a lot easier. It also includes an automatic timer, which you can set within 24 hours. This makes the pool maintenance a lot simpler. Hayward is another buyers’ favorite when it comes to in-ground pool filter system. This ProSeries S244T unit is people’s choice for a reason. It’s a top-mount filter that is really durable and does its job well. You can also get the same model with a side-mount model. Equipped with advanced full-flow system that lessens energy costs though proper filtration. 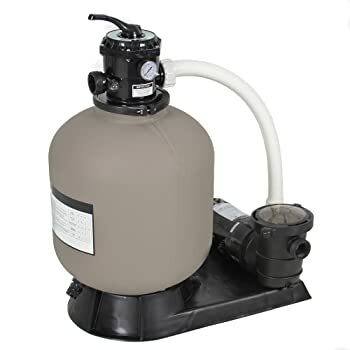 If you want a sand pool filter that is suitable for above ground pools with 9,600 gallons water capacity, then Sand Master Pool Sand Filter System is a great item to consider. Well, what’s to love about this filter system? This is a soft sided filter, which means that it is really lightweight but is durable just like a hard plastic. People love that it has a blow molded PE tank construction, meaning it’s actually rust-resistant. This is the best pool pump system for small pools at home. This is an amazing swimming pool pump system that is equipped with a sand filter. The noteworthy feature of this product is its thermoplastic filter tank that has amazing resistance. This heavy-duty system can keep your pool water crisp and clean for a very long time. So, it’s actually safe to say that you’ll get the best value to your money with this one. Its thermoplastic filter tank is corrosion and rust resistant, a very important feature for a pool pump filter system as it is exposed to moisture most of the time. This one is UL certified, which indicates the products safety standards both nationally and internationally. You know you got yourself a good filter if it’s both efficient and low-maintenance. And Best Choice Products 10,000 Gallons Pro Sand Filter Pump gives you exactly that and more. The filter system is designed in a way that even the smallest micron of dirt will be eliminated from the pool. Its dependable performance is what amazes pool owners the most. It has a self-priming pump that operates at a speed of 2400 GPH, powerful enough to keep your pool clean within an hour. Proven and tested safe by many safety standards governing bodies like CSA, UL, and ETL. Its powerful filtration cycle is well regulated so as not to overwork the pump. This is pretty important so that the pump can last for a very long time. Backwashing is also easy with this filter system. Hayward is a trusted brand in terms of pool system and accessories. This pool sand filter, for instance, has a powerful filtration performance but still able to keep energy consumption low. In addition, Hayward is a brand that is always on top of the game. 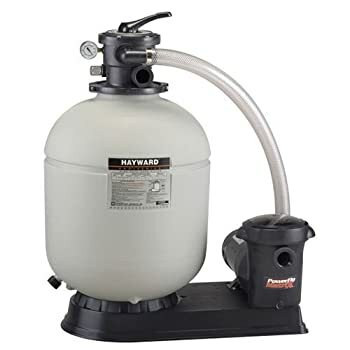 While other sand filters only include 4 or 6-multiport valve, this ProSeries S210T93S Pool Sand Filter System by Hayward actually has 7 ports. This is a specialized filtration system for above ground pools. You can choose from various filter sizes, pumps, and accessories so that you can maximize the filtration ability of the system. It can last for up to 7 years! This sand pool pump system is ideal for regular use. The filter is designed to withstand tough filtration works. What’s more is that it is user-friendly that even first-time users won’t have a hard time operating the product. It is easy to assemble with all components having precise alignments. Also has 6-position VariFlo Valve that can handle high pressure and high-water capacity. 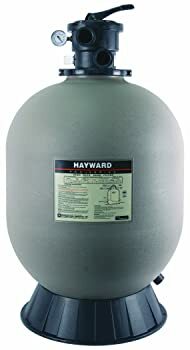 GAME may not be as popular as Intex and Hayward, but their SandPRO 50D Series sand filter system is outstanding. This is a high-performance pool filter, which you can easily operate. To top it all, it is also equipped with amazing features and accessories just like the filter system from popular brands. We know you’re itching to know our most recommended product. We considered 3 things here: Filtration Power, Ease of Use, and of course the Price. And the best pool sand filter is. . . . (drumroll please!) GAME SandPRO Pool Sand Filter System. It’s an energy-efficient filter system but has a powerful performance with its 40 GPM flow rate. It can filter up to 10,000 gallons of water, which means perfect for residential pools. The product is also easy to use and assemble. Lastly, it has a very affordable price. 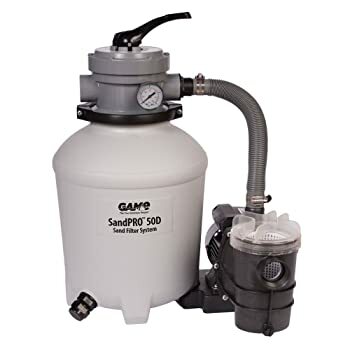 For a filter that can last up to 5 years when taken care of, this GAME SandPRO 50D Series surely is the most amazing pool sand filter at the moment. Well, that’s the best pool sand filter for us. We’re sure you have your own fair share of experience with sand filter. Which one do you think is the best? Comment now!